Communication strategy "Thank you for cycling"
The working group “Kalmar Bicycle City” elaborated a “Marketing Concept and Communication Plan”. This document contains information about background, purpose, aim, vision, core values, target groups and design for communication activities around “Kalmar Bicycle City”. The communication strategy has defined as overall target that cyclists should feel appreciated. The message when approaching the public is “Thank you for cycling”. Cyclists should be encouraged to continue cycling and to be an inspiration for others to start cycling. This approach is based on the theory of peer pressure. The strategy was already tested during the development. 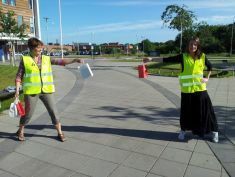 The working group joined several events and implemented Guerilla activities to promote cycling. Please see below. 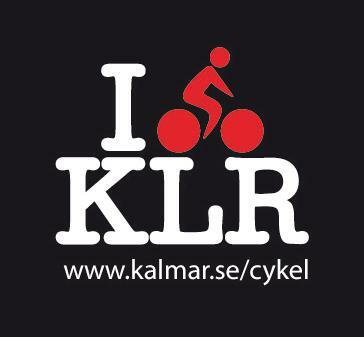 To get more informations about the marketing concept and communication plan for the bicycle City of Kalmar please find the summary in English here. Have a look at some related events in Kalmar. 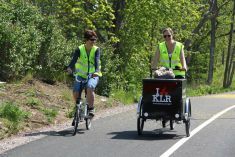 In order to show what the Bicycle City Kalmar stands for -a better and safer cycling city- Kalmar has decided to organize its public events on its own cargo bike. „The bike not only takes us where we want to go, it also allows us to take along all promo materials we need. 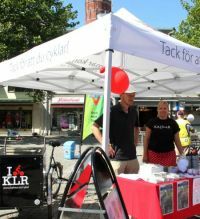 The accompanying bike trailer carries even a small event-tent.“ The cargo bike and trailer can now be used by all employees of the City of Kalmar who need to transport bigger or heavier loads through Kalmar. 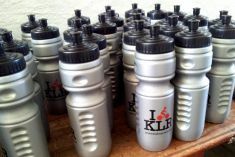 The communication strategy also contains the ”I bike KLR” image. They use their unique bicycle icon in a well-known phrase “I love ...” and just substitute the bicycle icon for the heart. A similar phrase is used in Copenhagen since some years. In August 2012, abc-partners visited Copenhagen, meeting with experts and getting ideas for their promotion of cycling. More inspiring actions are published here. Bike map launch & guerilla action "Thank you"
In June 2013, Kalmar updated their bike map such as to include regional bike routes in order to encourage day trips around Kalmar and to inform about safe bike routes in the whole municipality. During the launch of the updated bike map in June, city officials took the opportunity to show their appreciation for the cyclists of the City. 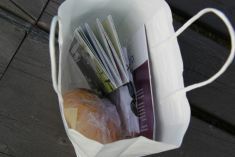 On four consecutive days, the abc-team positioned itself at important cycling routes throughout the city and handed out small bags to cyclists, bags that each contained a cycle map, fruit, and a cheese sandwich. 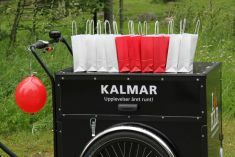 Serving as a token of appreciation, the bags were Kalmar’s way of saying: „Thank you for cycling. 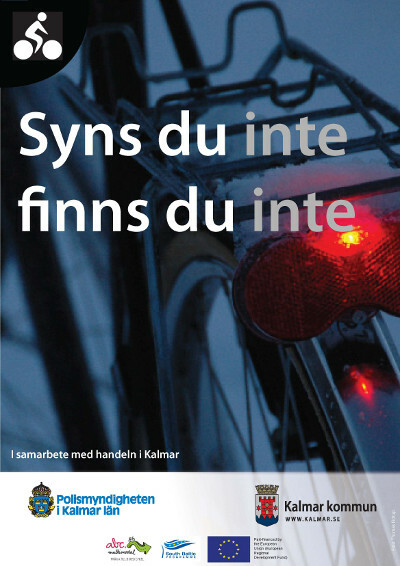 In 2013 Kalmar conducted a campaign for good bike lights to improve road safety. If more cyclists use bike lights this increases both their own safety and that of other cyclists. Also, increased safety will hopefully also help increase the number of cyclists. Before and after the campaign the municipal administration measured the usage of bike lights at the two major cycling lanes connected to the city center Kvarnholmen. The results show a significant increase of bike light usage. This campaign has been conducted three years in a row. In 2011, only 21 percent of all cyclists had bike lights. This number increased to 48 percent in 2013.